We offer site investigation contracting with factual reporting, cross consultancy services. Geotechnical risk is one of the main considerations developers and engineers need to manage in order to deliver a successful project. 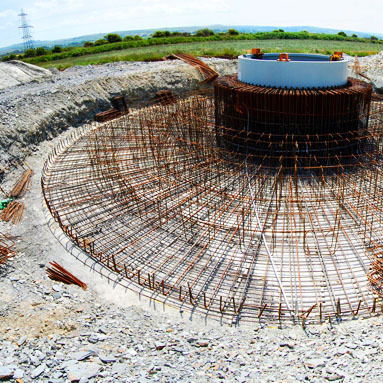 Working closely with the laboratory and the consultancy teams, we specialise in working with contractors delivering the placement of engineered fill. 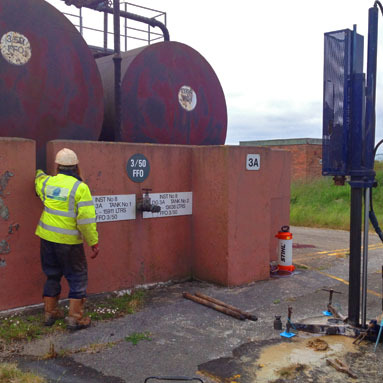 Our modern testing facilities paired with qualified and experienced staff enables our clients to choose independent testing services, or testing as part of the overall site investigation package. Our investigations range from Phase 1 reports, developing the conceptual site model to detailed quantitative risk assessments. 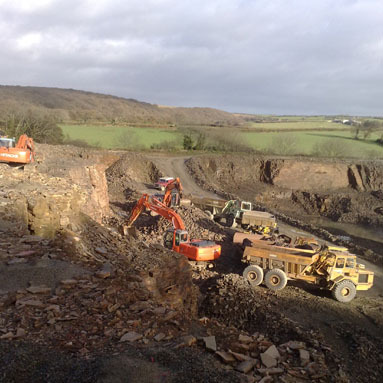 South West Geotechnical Ltd works within a wide variety of sectors.Clicking here will take you to case studies, by sector type, that demonstrate our capabilities and innovative approach. A new housing development was proposed on a former heavy industrial site in Frome, Somerset. 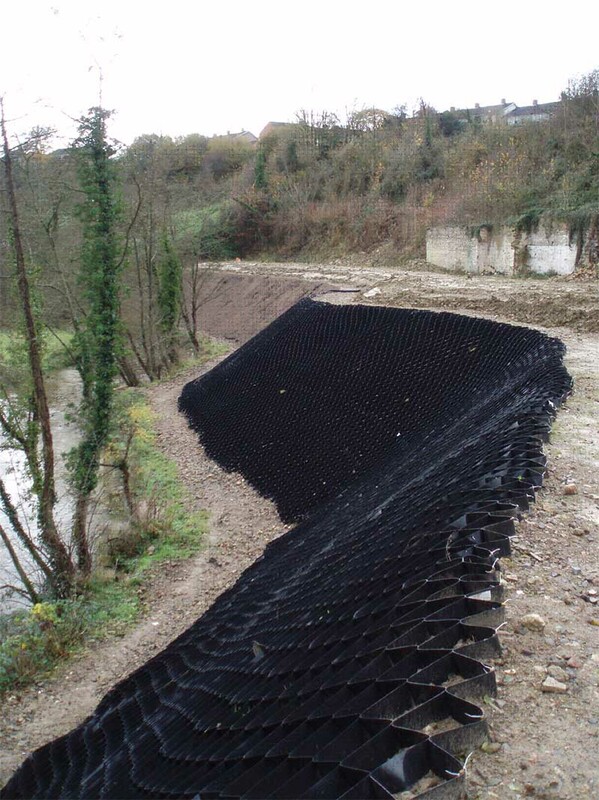 Before development could proceed, the site needed to be levelled by importing soil to upfill low areas by as much as 7 metres, and a 6m high reinforced fill slope built to bound the adjacent River Frome. A variety of foundation solutions were then designed to suit the various geotechnical scenarios within the reformed site. 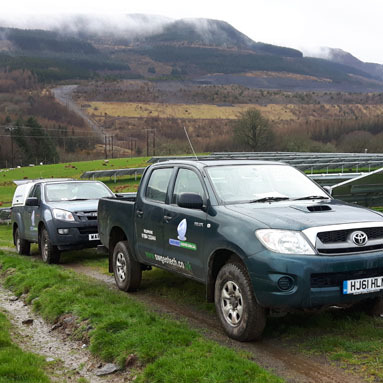 South West Geotechnical scoped and implemented the ground investigation, and designed and supervised both the earthworks and reinforced fill slope subsequent to carrying out long term settlement monitoring of filled ground. 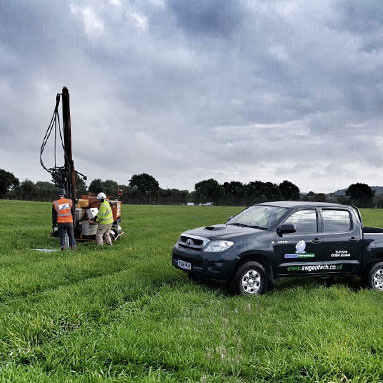 The ground investigation comprised 6 cable percussion boreholes, 20 rotary drillholes and 30 trial pits, with associated laboratory and in-situ testing, all carried out with our own resources. 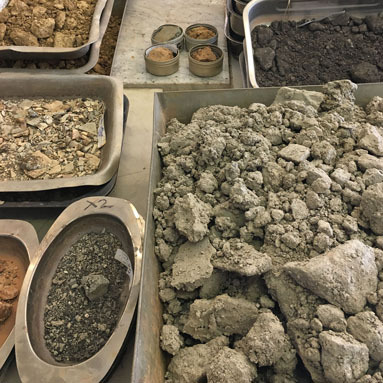 Earthworks monitoring included initial compaction trials on various prospective fill materials to assess optimum compaction requirements, and the checking of compacted fill for in-situ density and strength requirements as filling proceeded. This was done by sand replacement density testing, plate bearing testing, and laboratory triaxial shear strength determination. After completion of earthworks laying, a 12 month settlement monitoring programme was initiated, to delineate areas of the site where long term settlements would be sufficiently low to permit the use of shallow spread foundations, and those that would require deep (piled) foundations. Levelling was undertaken with precise digital optical equipment, and a levelling staff designed to have minimal length-change potential with variations in temperature. The equipment enabled a degree of accuracy of less than 1mm to be achieved.